The PJ lounge was the only living area without a sea view, so we had to do something different. We installed a 5.1 in ceiling and in wall surround sound system using Klipsch speakers. The front in wall's are mounted behind a 90’ Acoustic Transparent Screen. 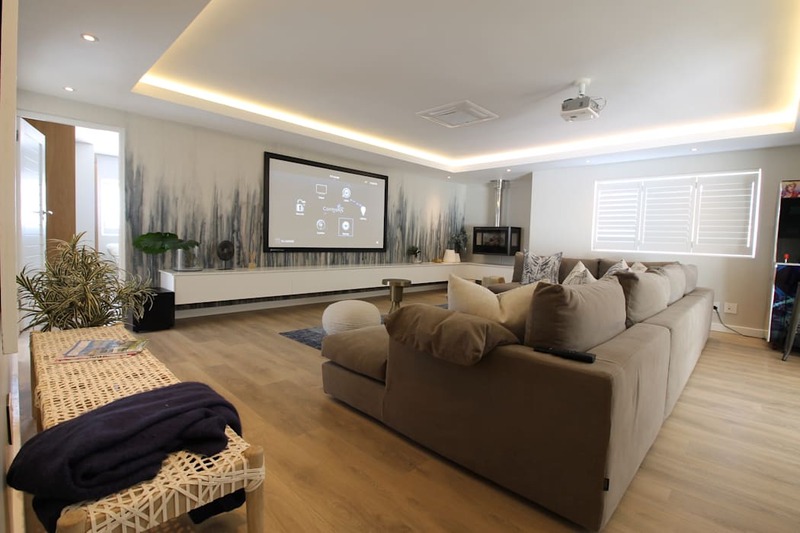 The Vivitek H1186HD is a Full HD home theatre projector with 50 000:1 contract ratio. All the equipment is fitted inside the floating cabinet and controlled with a Control4 EA1 Controller that links up with the master server cabinet, located in the Tech Room, that controls the rest of the house.